“He was literally showing us his ‘product' ... 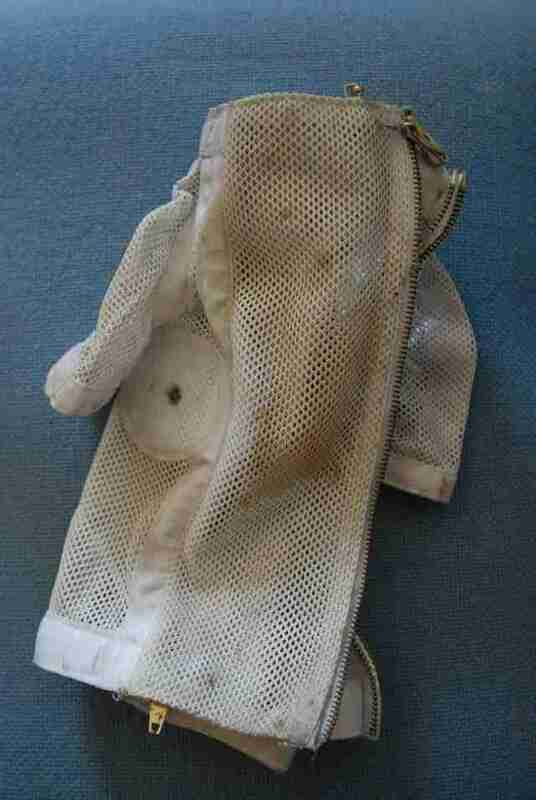 It was just heartbreaking." The macaque monkey was nursing her baby when a man grabbed her, pinning her arms behind her back and lifting her up from the ground. The baby screamed and wrapped his arms around his mom, struggling to hold onto her. Without use of her arms, all the mom could do was stare down at her baby, and squeeze his tail with her two back feet. In 2011, photojournalist Jo-Anne McArthur watched this scene play out while visiting a macaque breeding facility in Laos, where thousands of macaques are bred for the sole purpose of selling them to scientific research facilities around the world. McArthur and film director Karol Orzechowski had gotten access to this facility by posing at buyers. McArthur and Orzechowski actually visited three different macaque farms in Laos, and they all had one sad thing in common — the monkeys were kept in horrific conditions. 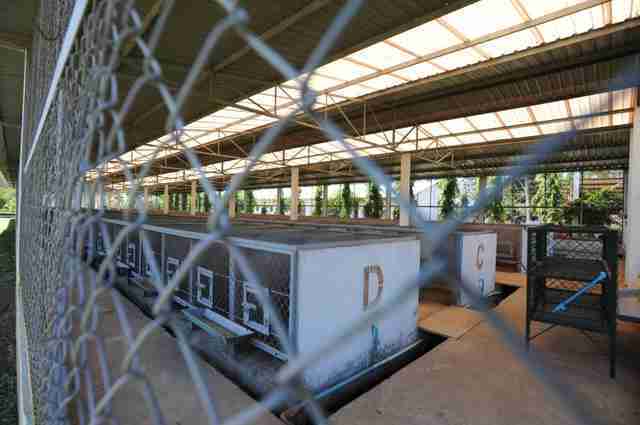 Not only do the monkeys not get enough to eat, but their cages are filthy — and the workers don’t always remove the bodies of ones who died. 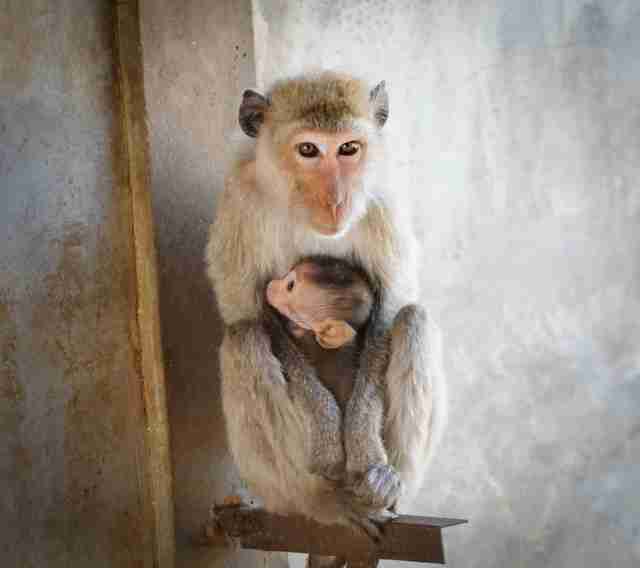 But she’ll never forget the panic on the baby macaque’s face when the man lifted his mother up, and the baby struggled to hold on. 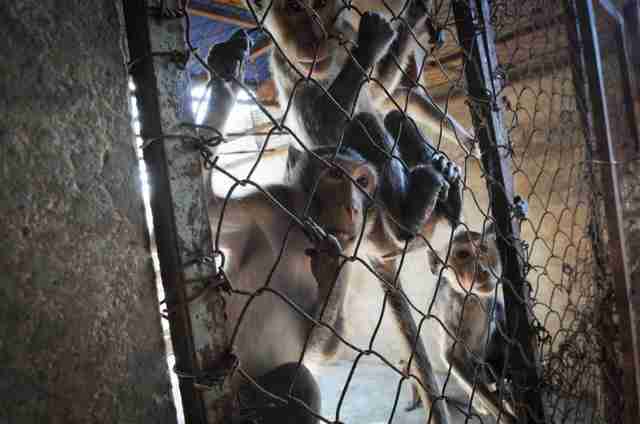 While the living conditions at these breeding farms were horrific, what awaited the monkeys could actually be considered far worse. 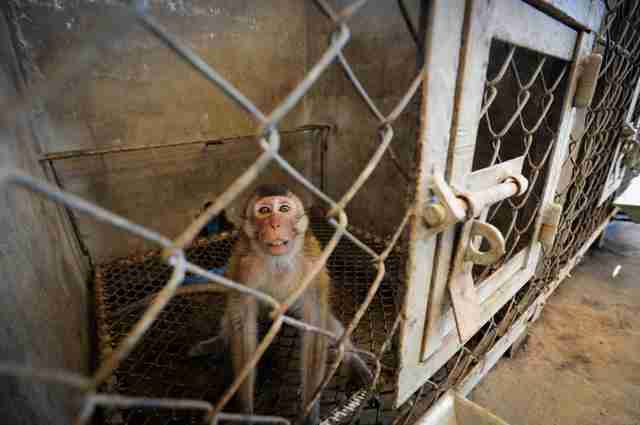 Testing laboratories and universities routinely purchase these monkeys from the overseas breeding facilities, Sarah Kite, director of special projects at Cruelty Free International, told The Dodo. While many different primate species are used in research — such as marmosets, spider monkeys and capuchins — macaques are the most widely traded for scientific purposes. The country that exports the most macaques is China — in 2015, Chinese traders exported over 11,000 macaques to the U.S., according to Kite. 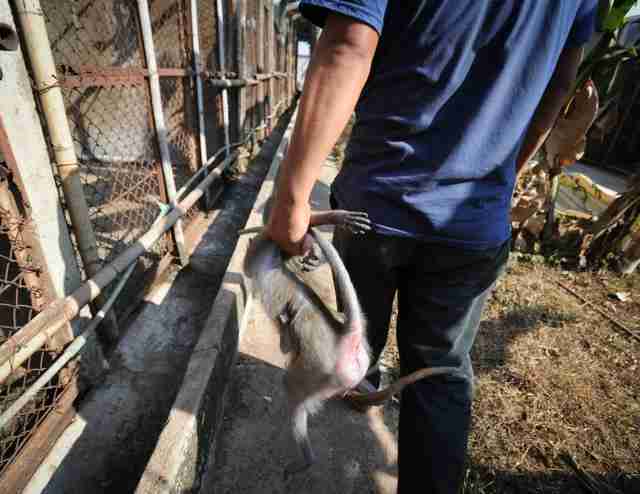 But other countries like Mauritius, Cambodia, Vietnam and Laos supply thousands of macaques each year as well. 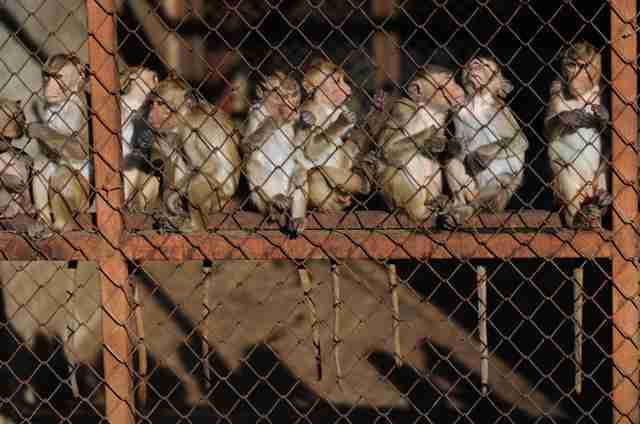 While many macaques are bred at facilities like the ones McArthur visited, others are actually captured from the wild, although exporting countries often deny this, according to Kite. “Most countries now claim to not allow the trapping and export of wild-caught long-tailed macaques, although we know that the offspring of wild-caught primates are still exported,” Kite told The Dodo. 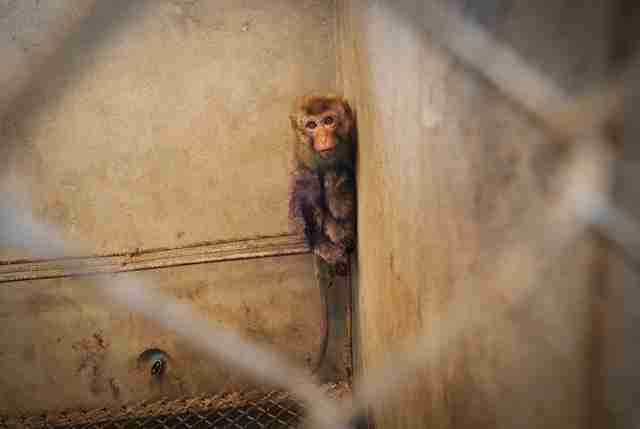 Once in the labs, macaques are used for all kinds of experiments — toxicity experiments, organ transplant experiments, infectious disease experiments and Ebola studies — which often result in death, Dr. Theodora Capaldo, executive director of New England Anti-Vivisection Society (NEAVS), told The Dodo. Primates are also routinely used in psychological research, such as maternal deprivation and anxiety studies, Capaldo explained. “Babies are torn from their mothers all the time for this kind of research, and that’s a horrific event, for both the mothers and the babies,” Capaldo said. 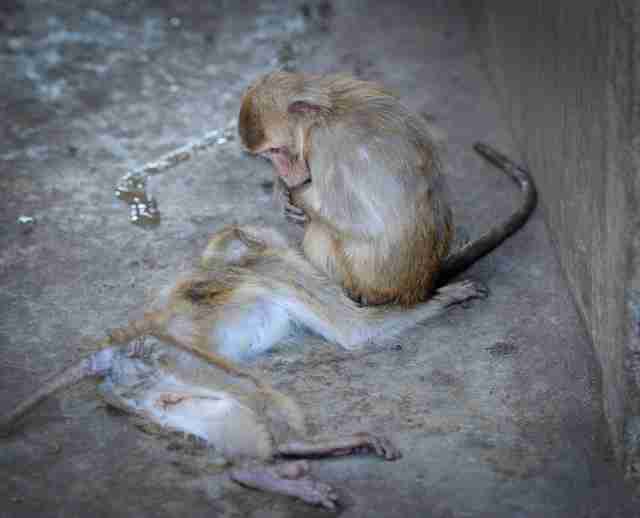 If the macaques aren’t killed during the testing process itself, they’re euthanized shortly after. 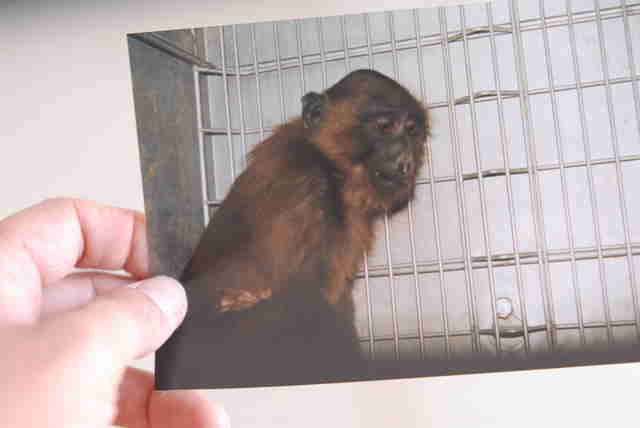 While animal rescue groups are sometimes able to save retired research animals, Capaldo points out that these animals are quickly replaced in the labs — after one batch of macaques is euthanized, another is brought in. 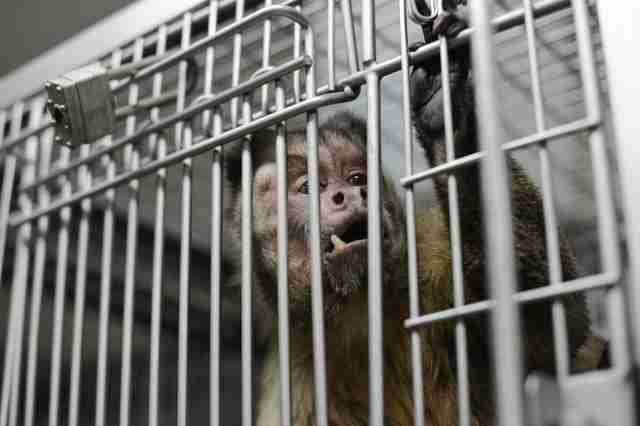 “A fortunate few can make it into sanctuary, but there’s no way that we can provide sanctuary for the thousands of monkeys that are right now being used in U.S. labs,” Capaldo said. 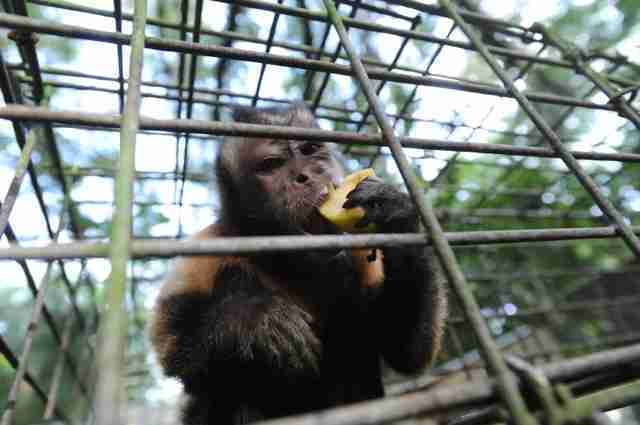 Not only are the testing processes traumatic, but the conditions in which monkeys are kept inside the labs are unnatural and stressful, Capaldo explained. 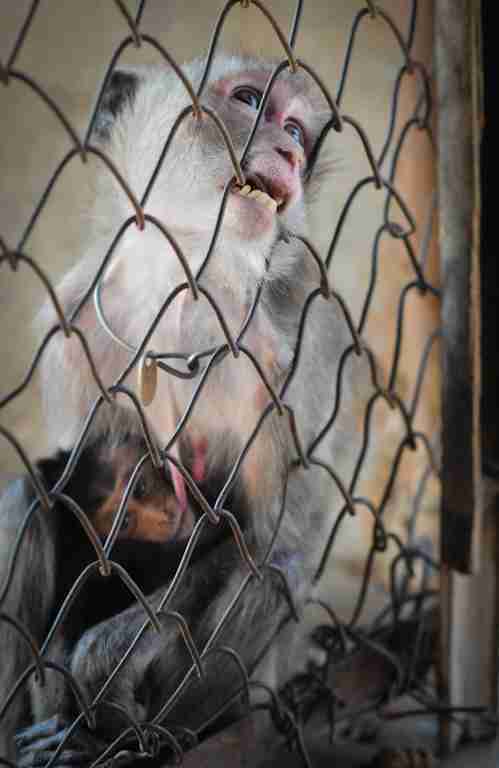 Housing monkeys in solitary cages drives them crazy, and they often start exhibiting stereotypical behaviors. Despite the stress monkeys go through in captivity, they are — and continue to be — one of the most popular animals to use in research. “They continue research on monkeys because it’s convenient, it’s cheap and it’s the way it’s always been done,” Capaldo said. She also added that macaques are considered to be just the right size for these kinds of experiments. Primates of any kind are also preferred subjects because of their biological similarities to humans, Capaldo explained, although she points out a problem with this line of thinking. Besides being ethically questionable to put macaques through physically and psychologically stressful tests, Capaldo argues that tests involving macaques — or any kind of nonhuman animal — cannot produce reliable data that can be used to help people. In 2015, the National Institutes of Health (NIH) announced that it was no longer necessary to use chimpanzees in biomedical research, and they released their 50 captive chimps to sanctuaries. 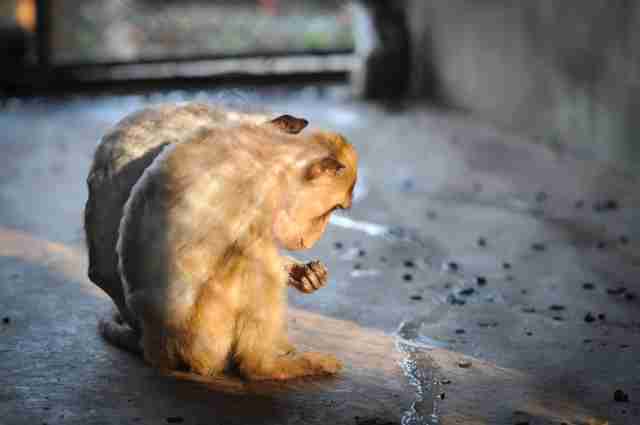 With this in mind, Capaldo struggles to understand why other primates continue to be used. But it’s just not primates Capaldo wants to see pulled from research — it’s all animals, including dogs, cats, pigs, rabbits and rats. 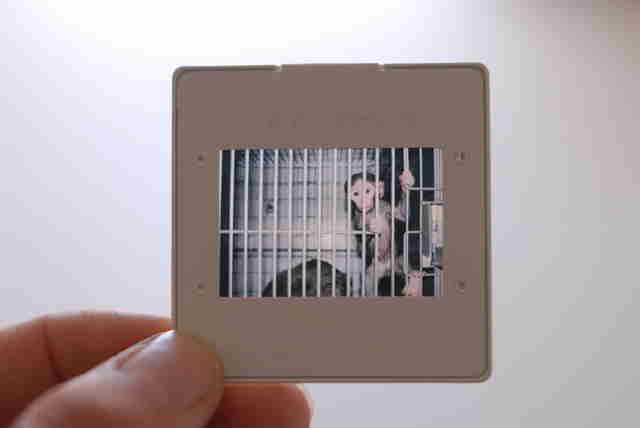 After visiting the macaque breeding farms in Laos, McArthur published her photographs, and Orzechowski went on to produce “Maximum Tolerated Dose,” a documentary about the cruelty of animal testing. The duo also worked with Cruelty Free International to submit information to the Convention on the International Trade in Endangered Species of Wild Fauna and Flora (CITES) to help end the exportation of long-tailed macaques from Laos. Two of the three macaque breeding facilities McArthur visited subsequently closed down, McArthur explained, but many others like them are still out there. 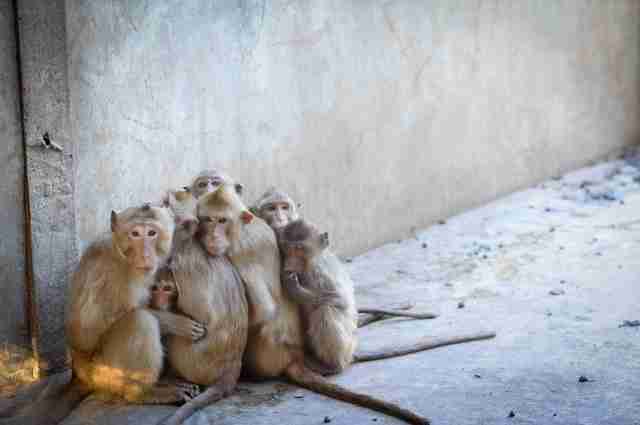 While a lot of work still needs to be done to help macaques and other primates sold to research laboratories, McArthur remains optimistic that things will change — and she hopes that her photographs provide a window into these animals’ lives. 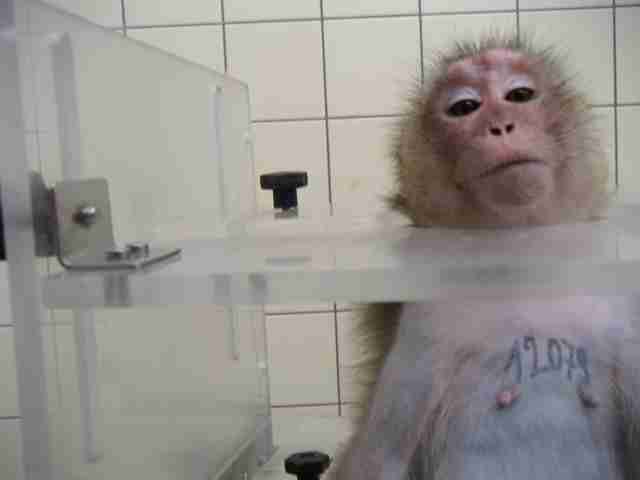 There are many ways to help macaques and other primates used in research labs — you can write to your legislators or NIH to demand science that doesn’t involve animal testing. 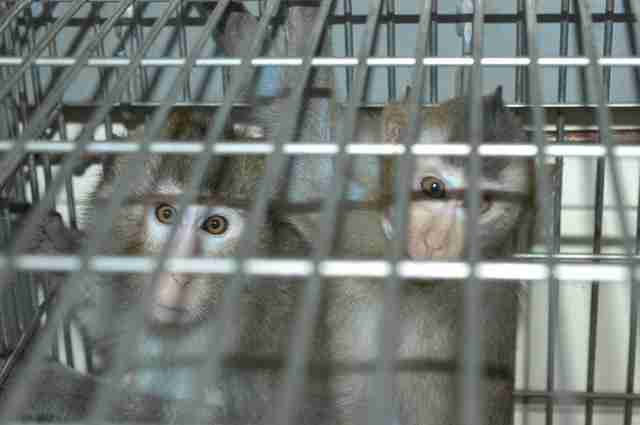 You can also urge Air France to stop transporting animals for the research industry, and sign this petition to put pressure on the Mauritian government to stop exporting thousands of monkeys for the research industry. For more information about animal testing and what you can do to stop it, visit New England Anti-Vivisection Society (NEAVS) and Cruelty Free International.